Today’s modern applications create and manage massive amounts of information. We have experience with massive, mission critical databases which handle millions of queries daily. We design and build robust, secure databases which take advantage of the most appropriate database engines for the size of the project. If you are in need of a large scale system, Eagle has implemented Oracle RAC configurations that are several terabytes in size and can handle the daily addition of millions of new records. Regardless of whether it’s a small personal WordPress site or a large scale mail sorting equipment center, we can build and maintain a powerful data center for you. 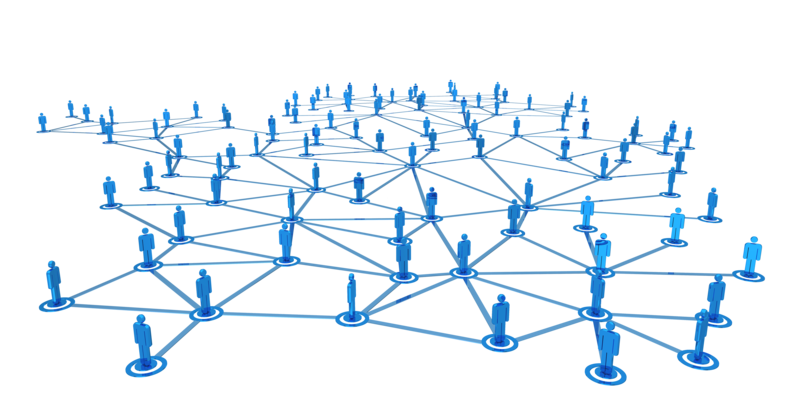 100% percent of Eagle’s work involves networked systems. Eagle develops and maintains real-time systems for the United States Postal Service. These systems transmit video images of mail pieces over high-speed networks and also transmit zip codes to be applied to physical envelopes. Eagle develops XML-based systems to transfer health care data in a secure manner over wide-area networks. Eagle develops reporting systems that gather statistics from computers distributed nation-wide, and summarize the data into web-based reports. Eagle began developing web-based applications for its customers in 1996 when Microsoft IIS 1.0 was introduced. Throughout our history we have always been at the forefront of web technology, adapting to a rapidly changing environment. This can be a challenge between the two major mobile operating systems, and with the bevy of sizes and form factors available. Eagle has experience designing native mobile applications that give your users the mobile experience they want. A good mobile interface can be make or break for web software. Today, many companies create mobile applications that are really web based, but designed to look like they are device native. While this is a viable option for some services, these applications do not provide the same experience that an app actually written for the device does: usability, responsiveness and performance are all sacrificed in the process. Eagle’s engineers have the proven ability to create the most attractive and usable native applications. We are experienced in Program Management for government agencies. We can provide a complete array of Program Management services for you. We can act as your agency’s representative to review vendor software, coordinate testing and deployment schedules, review vendor test plans, attend all testing, and provide comprehensive reports. Eagle has developed and improved real-time embedded systems for the United States Postal Service (USPS), and other clients. Eagle’s engineers have significant experience with real-time systems for a number of critical projects including NASA’s space shuttle, and military multi-level secure networks. Eagle develops telephony solutions, including speech recognition. These systems include use of Envox Studio for development of telephony dialogs, Open Speech Recognizer for speech recognition, and related VoIP infrastructure. We have many years of experience with voice-driven applications. Eagle is the exclusive developer a home theater media system called Carousel TV which is designed to give users a new way to experience their media content. CarouselTV utilizes our proprietary Spin User Interface navigate media content without being hampered by complicated menus or cumbersome controls. Eagle provides comprehensive testing of the barcode recognition capabilities of vendor camera offerings. We generate the test data, produce the physical test decks, conduct the test (at USPS or vendor facilities), provide statistical analysis of the results, and provide test reports to USPS managers. 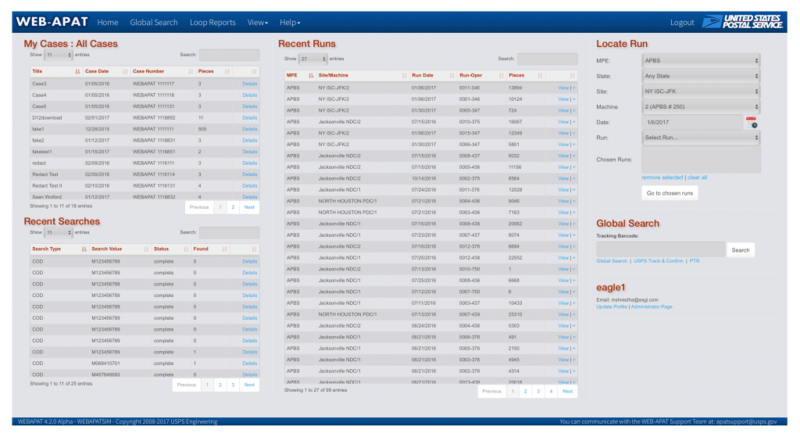 Eagle develops and supports web-based data collection and reporting systems. These systems collect data from USPS mail equipment systems around the country, then display the data on easy-to-use websites. This allows USPS managers to monitor critical systems from their desktop browsers. Eagle provides testing and evaluation services for enterprise-wide systems that being considered for purchase by the Postal Service. Our test engineers use their in-depth understanding of client needs to accurately assess the quality and benefit of new automation efforts. Eagle has replaced end-of-life hardware with upgraded computers and software. Eagle has also improved legacy systems that were thought to be running at maximum capacity. Our enhancements have extended the life of equipment life and significantly increased the amount of mail that is machine-recognized and sorted. We are experts with real-time, networked computers that are used to read and sort two hundred million pieces of mail each night. Eagle has a thorough understanding of the contents and format of USPS data bases. We know the strengths and weaknesses of the data, how to best put it to use, and we have developed many automated tools that are used for analyzing postal data. Eagle developed an on-line sports team administration web site for Leageez. Leageez can control all aspects of league management from the convenience of your phone, tablet or computer. Eagle provides software development services to CRMC, the leader in the resolution of asbestos claims. CRMC partners with trusts to deliver smooth, seamless, claims resolution operations. CRMC offers their flexible e-Claims electronic claims processing system to speed claims processing, increase efficiency, and lower costs. Processes are automated based on user selection such as automatic generation of offers or denials upon completion of claim evaluation. CRMC makes communication with law firm filers and its client trusts the focus of its efforts. Five weeks of combined vacation/sick leave. Cafeteria Plan: The employee decides how much to spend on health care, life insurance, disability insurance, tuition, and a variety of other benefits. 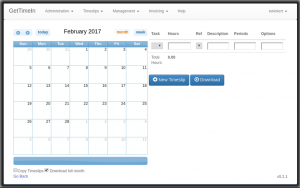 A flexible schedule that allows the employee to plan their work week according to their needs. 401-K plan with corporate profit sharing. Eagle Software Group, Inc. is an EEO/AA employer. All employees will be expected to obtain a security clearance, including background check and drug testing.